Farzad and Connie started thinking about building a house five years ago when they were living in Cambridge, England. Farzad was finishing his doctorate in management and Connie was working for a Dutch bank. Their two kids were young, and the couple wanted to settle in Toronto, where Farzad grew up (Connie is from Hong Kong). They imagined a house that was minimalist but kid-friendly, environmentally conscious but not visibly so, and most importantly, adaptable. They hired the architect Paul Raff, and the resulting space, on a leafy street near Yonge and Eglinton, feels like a swanky yoga studio minus the mirrored walls. The kitchen is flanked by two identically sized spaces, which can be used interchangeably, as the living room or dining room—Farzad and Connie sometimes swap the two by season, eating next to the big backyard window in summer and cozying up by the same window to read in winter. The basement is kitted out with a kitchen in case their kids boom­erang in their 20s and want their own space. And although the main level of the house is, right now, perfectly suited to family life, it was designed to be converted into a one-level retirement suite in the future, with Farzad’s office becoming a master bedroom and the entryway powder room becoming an ensuite. For the rest of this story, please see the May 2013 issue of Toronto Life magazine. Quebec City is iconic for its old world architecture and cobble-stoned, urban streets. But that’s just the historic core. Much of the provincial capital is made up of diffuse, car-centric suburbs. To some, the extreme dichotomy underscores the eyesore that is modern city planning. 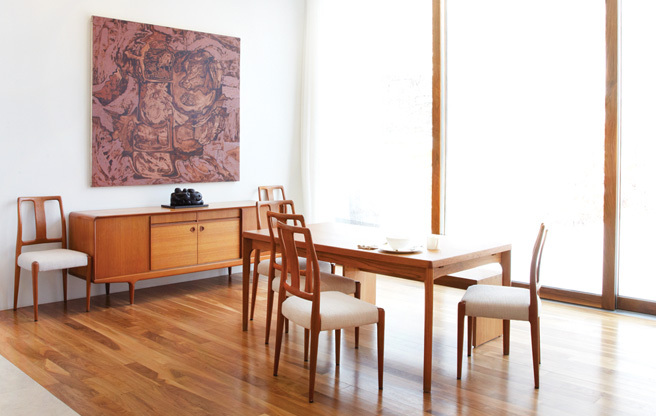 To design group Six Point Un, the contrast between the metropolitan and the mundane is endlessly inspiring. Formed two-and-a-half years ago by Quebec City natives Claudia Després and Jérémy Couture, the studio has turned skate boards into swing sets and picket fences into coat racks. 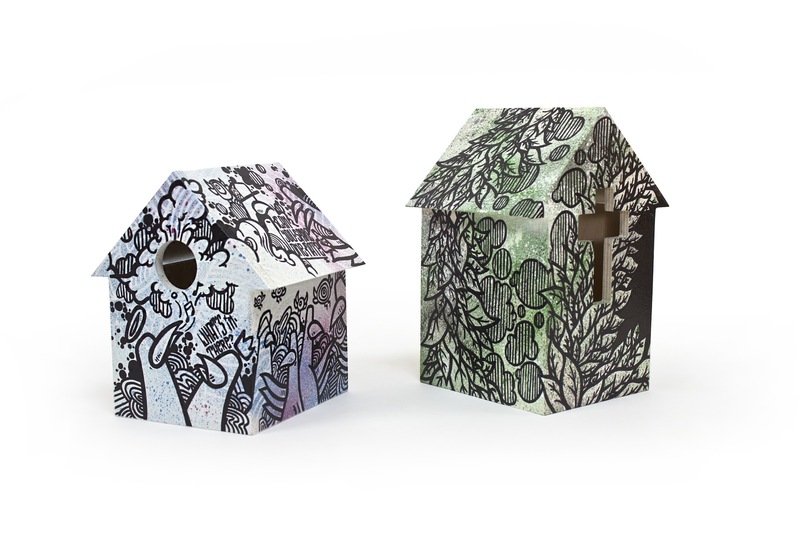 The latest product, a series of birdhouses designed in collaboration with graphic artists Matel and Avive, is a particularly pointed mash-up of the seemingly different worlds: generic, pitched roof houses (or churches, as it were) covered in the type of wild, energetic graffiti one would only expect to find in the middle of a city’s downtown. $150 each. Through sixpointun.ca. This piece originally appeared in the Globe and Mail on Thursday, April 25, 2013. When designer Marie-josé Gustave moved to Quebec from France 15 years ago, she, not surprisingly, hauled her stuff with a bevy of cardboard boxes. But, unlike most of us, Gustave didn’t give away, store or toss the containers when she got here. She started turning them into art and decor. “I had lots of boxes,” jokes Gustave. The Montrealer studied clothing production, was working in textile design and long loved tactile crafts such as sewing and knitting. 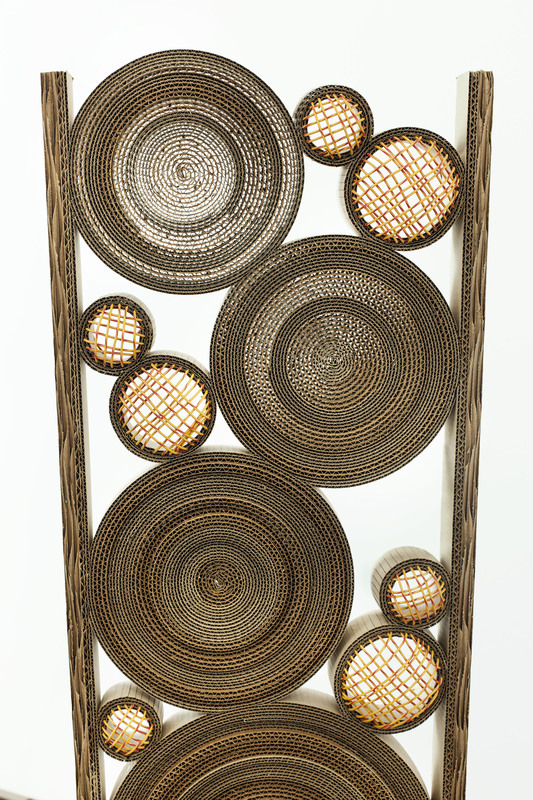 Like an interesting fabric or yarn, she admired cardboard’s rich, versatile texture. Depending on how it’s cut, layered and woven together, it looks like wool, woven seagrass or clay. 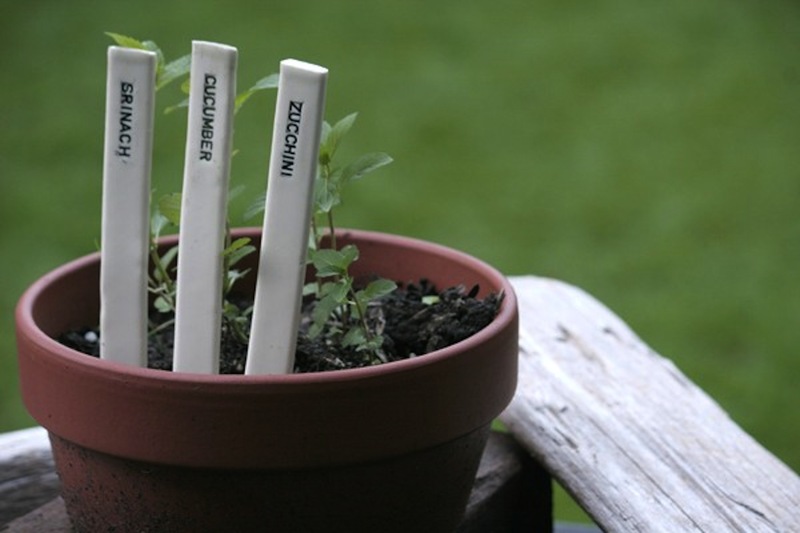 Garden markers are a must for green thumbs who can’t remember where they’ve seeded the beets versus the radishes. They’re particularly necessary before the buds start to grow in the early spring, when one, dirt-filled pot in the windowsill is indistinguishable from the next. JustPotters makes an especially handsome version — slender, ceramic stems with that perfectly-imperfect, rough-edged quality that only comes when something is hand spun. But the Vancouver-based pottery shop is laudable for more than its unique nameplates. It was started in 2006 to give people who face traditional barriers to work — mental or physical disabilities, for example, or problems with addiction — a way to make money and learn new skills. Most don’t come into the studio with a background in clay, but under the training of expert potter Jasmine Wallace — she has a Master’s degree in ceramics from the University of Minnesota and has exhibited across North America — they learn the nuances of the craft and take great pride in creating such beautiful objects. From $21. justpotters.com. This piece originally appeared in the Globe and Mail on Thursday, April 18, 2013. At the Cumulus Project ­— the online concept store of B.C.-based artist Carey Ann Schaefer — only one, one-of-a-kind item is posted at a time, and it doesn’t get replaced until it’s sold. A ridiculous business model for an e-commerce site? Maybe. It is, in effect, the anti-Etsy. But there’s something refreshingly simple about having only a single, serenely crafted option to consider at every visit. Past pieces include a slug-shaped, ceramic salt container and a circular mirror subtly etched to mimic the mottled surface of the moon. The latest — the Cross Legged Basket — is no less whimsical. At a glance, the hamper looks like a stack of water worn river stones. But the pile is actually quite plush — Schaefer crocheted it out of colourful, baton-stuffed nylons that were sewn end-to-end into a giant-sized piece of yarn. 24” h x 36 dia. $220. cumulusproject.com. This piece originally appeared in the Globe and Mail on Thursday, April 11, 2013. 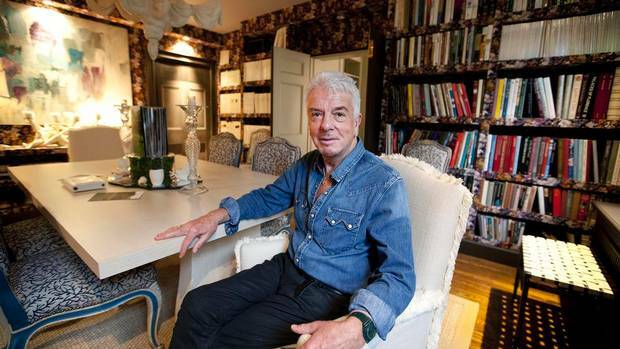 The client list of British interior design legend Nicky Haslam reads like an issue of Hello! magazine. It’s packed with the bold-faced names of royals (Princess Michael of Kent), rock stars (Mick Jagger, Ringo Starr) and oligarchs (a house he did for bank magnate Pyotr Aven features the largest private collection of Russian art in the world). His social calendar – parties with Jerry Hall and Bob Geldof, posing for pictures with Kate Moss – is much the same. Haslam’s rooms are as diamond-encrusted as the celebrities he works for. Nothing is ever too excessive or ornate. A few years ago, designer Ryan Taylor’s kitchen was startling to look more like a greenhouse than a cook space. He loved having ferns, herbs and succulents around, but had run out of places to put them. So, Toronto-based Taylor decided to create a new type of planter. 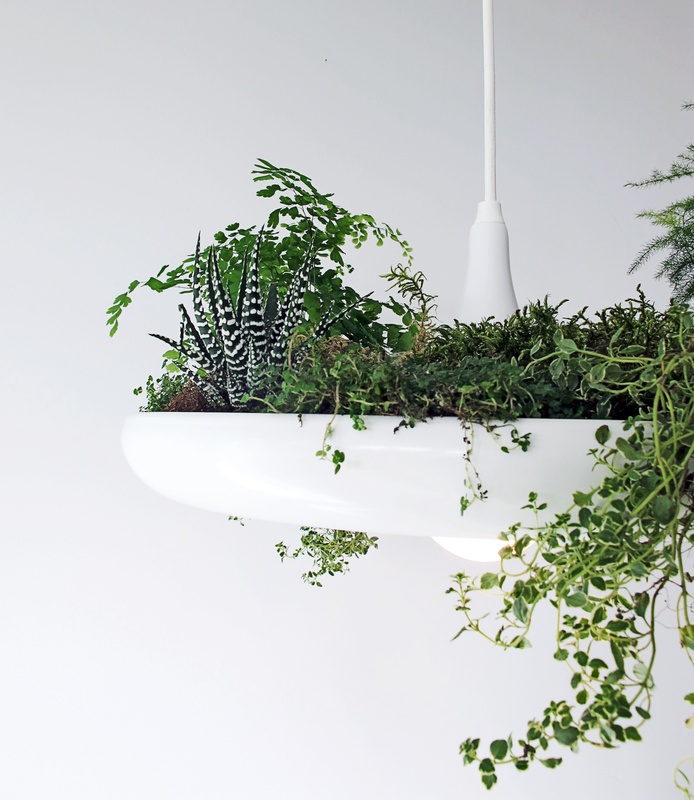 His hanging Babylon pendant is a resplendent way to add herbage without losing square feet. The white aluminum casing is particularly elegant. The shape is inspired by an upside flower bloom and echoes mod, ‘60s style. Plants aren’t included, but anything that can grow in shallow soil, like small orchids, moss and cacti, would do well. For anti green thumbs, the trough might make a smart place to hide keys, cards and wallets. Babylon pendant. $425. Through oniprojects.com. This piece originally appeared in the Globe and Mail on Thursday, April 4, 2013.